In the summer of 2005, a package arrived at the Hollywood offices of Highway 61 Entertainment from London with no return address. Inside were two mini-cassette audio tapes dated December 30, 1999 and labeled THE LAST TESTAMENT OF GEORGE HARRISON. A voice identical to Harrison tells a shocking story: Paul McCartney was killed in a car crash in November of 1966 and replaced with a double! British intelligence, MI5, had forced the Beatles to cover up McCartney s death to prevent mass suicides of Beatle fans. 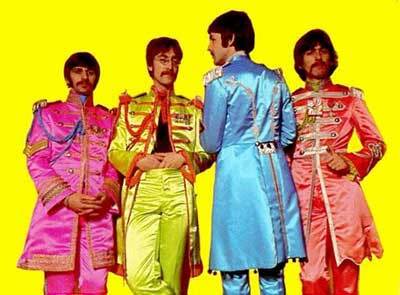 However, the remaining Beatles tried to signal fans with clues on album covers and in songs. Until now, the Paul is Dead mystery that exploded worldwide in 1969 was considered a hoax. However, in this film, George Harrison reveals a secret Beatles history, chronicling McCartney s fatal accident, the cover up, dozens of unknown clues, and a dangerous cat and mouse game with Maxwell, the Beatles MI5 handler, as John Lennon became increasingly reckless with the secret. Harrison also insists that Lennon was assassinated in 1980 after he threatened to finally expose Paul McCartney as an imposter! Highway 61 Entertainment has corroborated most of George Harrison s stunning account of the conspiracy to hide McCartney s tragic death. Harrison s complete audio tapes narrate this film that includes all the newly unearthed evidence. 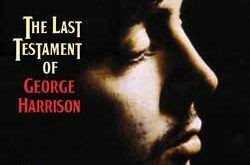 The Last Testament of George Harrison may prove to be the most important document in rock and roll history, leaving little doubt that PAUL MCCARTNEY REALLY IS DEAD! Paul McCartney Really is dead, may be one the bizarrest proclaimed true stories ever conceived in the iconic history of conspiracies and music. Directed by Joel Gilbert, this actually also may be one of the most compelling things I’ve seen in years! 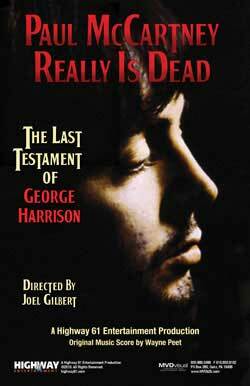 As the film begins, we are introduced to the editor of the project who explains that before George Harrison’s death as he was laying in a hospital bed, he proceeded to document the whole “Paul is dead” ordeal. 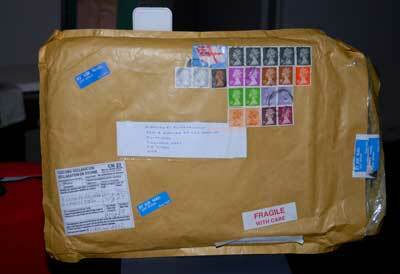 The evidence has arrived in a large envelope containing 2 cassettes and no return address. The film progress under George’s narration on the whole history of the famed cover up. One of our interests here under the horrornews.net guise is to cover reviews on such fantastical and sensational materiel. This particular one is sure to keep your interest glued from front to back. Probably one of the more incredible sorties I’ve heard to date actually makes sense and is a frightful overview of how our society works around things to account for cotrolled assumtions. George narrates and explains clearly that from the Beatles early days, that this cover up was kept secret to prevent mass suicide from the millions of fans who idolized the Beatles at that time. 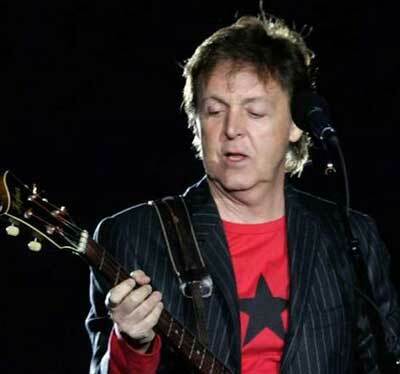 We are told that the real Paul McCartney was actually killed an auto accident after a dispute with John in the studio while they were recrding one of their earlier albums. This resulted in a body identification, a witness and a the biggest cover up of all time. The British government agency in charge of this was a group called the MKI headed under the direction of a man named Maxwell. He orchestrated a replacement per a Paul look alike who was ordered to go undergo extensive and constant plastic surgery to quickly replace the now dead original Paul McCartney. 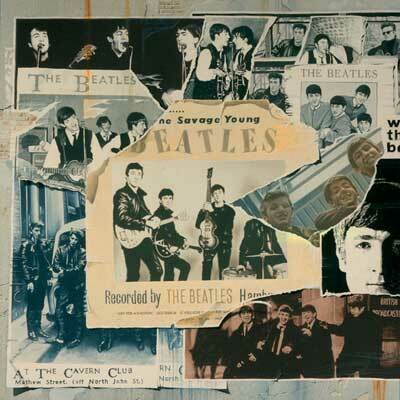 The Beatles over the course of songs, lyrics, album covers and a threat on their lives, proceeded to accept the hand they were dealt but as a throwback released clues over the course of their career. Those clues are evident in several artwork pieces and lyrical content. The fake paul named “Faul” was brought in to slowly fill the spot and keep the illusion. Details surrounding this whole ordeal are quite remarkable and the stuff of fiction, though in this case its presented as a true foretelling of how the events occurred leading up to the deaths of John and a attempt on George’s life. All the album cover clues are discussed as well as the connections with the lyrics and how they were changed to keep from being over obvious. What is remarkably strange is how Paul was always kept different in each cover and showcased as the odd man out. As these details progress, the work put into this cover up is unlike anything in music history. Was this an elaborate hoax? The story told would suggest quite different, and that it was the remaining 3 Beatles way of keeping his spirit alive. Mirrored words that suggest meaning, logos altered, names pre thought and finite details of his car crash, the decapitation, and of course the famed “walrus” statement. For years, this conspiracy of sorts has arrived into news and disappeared with on a constant revisit. Perhaps this DVD will motivate the final living who know the truth to confess and then maybe its just another attempt to dig up old dirt. 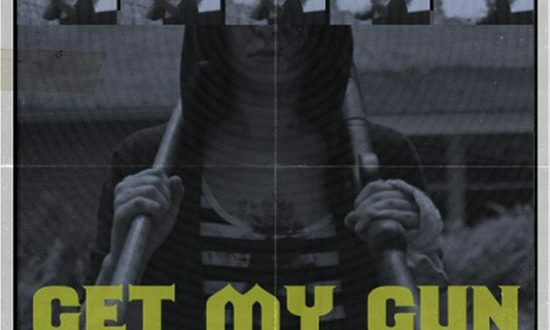 The production on this is top notch all the way around, interesting graphics, video clips, photos, narrations and an impressive editing job – I’ve yet to see a film that covers this controversial subject as complete and thorough as presented here. The video work and motion work comes across as a true work of passion that shows the talents involved with getting this info out to us. Not only is this highly recommended but I plan on playing this for as many as I can round up. 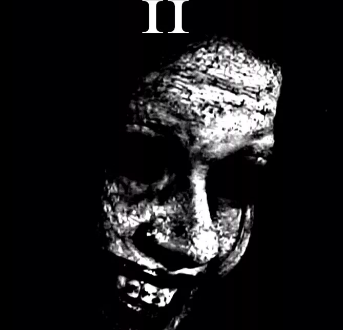 Guaranteed, this film will stay with you long after the credits role.